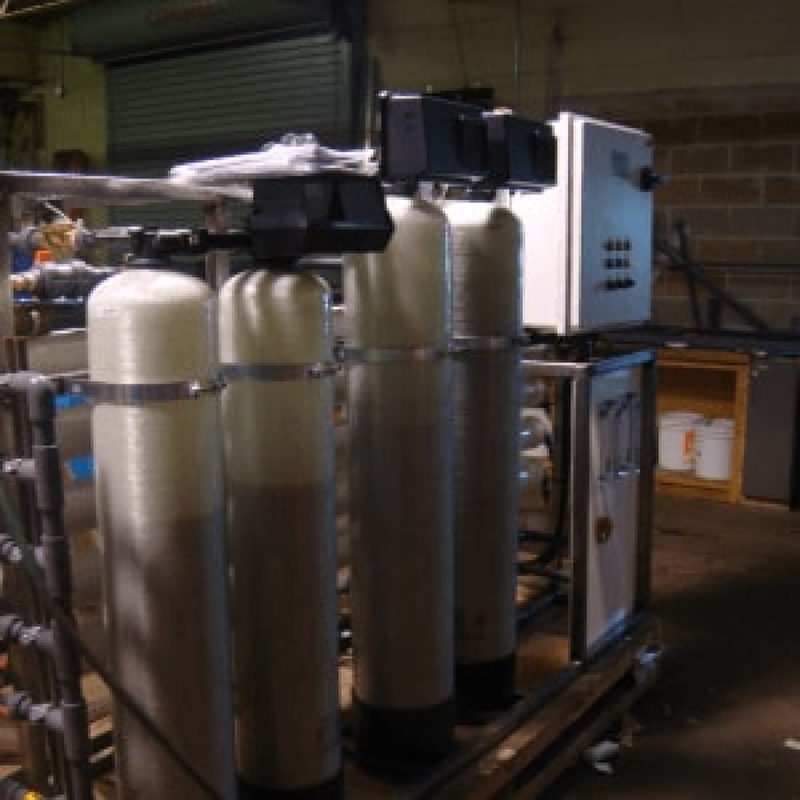 10 Gallon Ro System is a water treatment process that removes contaminants from water by using pressure to force water molecules through a semipermeable membrane. During this process, the contaminants are filtered out and flushed away, leaving clean delicious drinking water. CLICK ON A THUMBNAIL BELOW TO VIEW LARGER IMAGE. Series EPC10GalR1 Reverse Osmosis (RO) Systems are commercial grade high pressure RO units for the reduction of total dissolved solids from water. 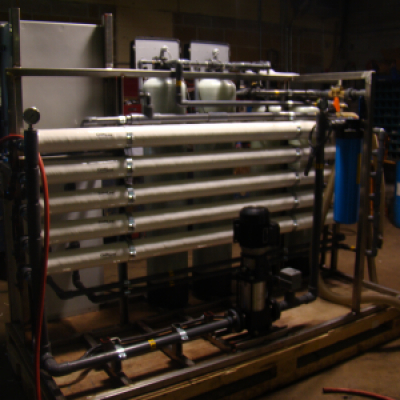 They are designed to supply reverse osmosis quality water with production rates of 10 gallons per minute. These units are designed for floor mount installations. Reverse osmosis is a process where high pressure feed water is fed into a semi-permeable membrane. In the membrane, pure water is allowed to pass through the membrane material and exit as purified permeate water. Dissolved mineral salts are not allowed to pass through the membrane and become a concentrated reject stream that is sent to drain. These RO systems use high pressure/high rejection membranes to achieve a minimum average NaCl ionic rejection of 97 percent. We've been very happy with all the service and products that we've ever gotten from Elmira Pump. We trust you guys. Quality products. Great pricing. Service you can count on. 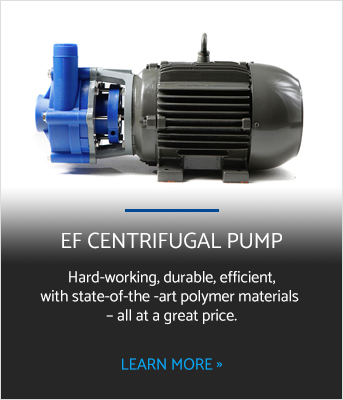 Talk to a specialist at Elmira Pump about your pump, seal or industrial waste water treatment system design needs.